If you saw our introductory post yesterday, you’ll know that this week on Zath is Linux training week! Over the next week, I’ll be using Ubuntu version of Linux in place of my norm of Mac OS X and Windows 7 to see how it stacks up against its rivals and whether it’s viable for the average computer user to make the switch. Installing Linux on your hard drive is a much easier affair than it used to be, with an almost automated GUI that takes you through the necessary steps of installation. One of the computers I chose to install Ubuntu 9.10 on was my Mac Mini. I chose to install it side by side with Mac OS X as I didn’t want to erase my personal data or swap out the hard drive in the Mac Mini as it’s a rather tricky operation inside such a small case. On many distributions of Linux in the past, installing it side by side with another operating system would have entailed some manual partition editing and management, a daunting prospect for many people unfamiliar to the Linux partition set up. With Ubuntu 9.10, I was surprised at how straight forward the whole operation was — I never had to manually configure any partitions; the Ubuntu installation tool handled all that for me, and put it side by side with Mac OS X allowing me to choose from the two whenever I boot my machine. All things considered, this was by far the smoothest installation of Linux I’ve ever encountered, and certainly bodes well for the rest of my tests! If you’ve never installed Linux, you’ll have to be aware of the different options you have when installing. As the installation assistant detected that I already have another OS on my hard drive as well as free space, by default it put Ubuntu next to OS X. Other options, however, include the choice of completely over-writing the drive to give Linux your entire hard drive. As always when installing a new operating system, don’t rush through the installation in case you do something you’ll later regret, and make sure that any data you don’t want to lose is backed up just in case something does go wrong in the installation! Ok so setup was a breeze, but could I start using my new open source choice out of the box? You betcha… I was pleasantly surprised to see everything functioning perfectly: my display was automatically set at the right resolution of 1680×1050 and working great, both Ethernet and Wi-Fi were fully functioning without any problems whatsoever and even Bluetooth was ready to go. The whole process could not have been simpler, although everyone has different hardware so people are bound to run into a few problems. 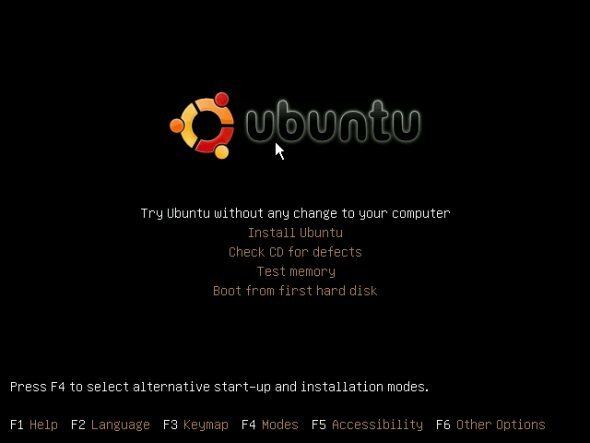 For me, there was nothing I had to do to make anything work properly, and I couldn’t have been more impressed at my initial introduction to Ubuntu 9.10. As I’m using a copy of Ubuntu 9.10 I downloaded when it was first released, there were quite a lot of updates to apply to my system that weighed in at around 190MB. These downloaded in two minutes and caused no hiccups along the way, leaving me all set to get some software and see how open source offerings hold up against software available for Windows and OS X. Be sure to check back tomorrow for a look at software availability for Ubuntu!